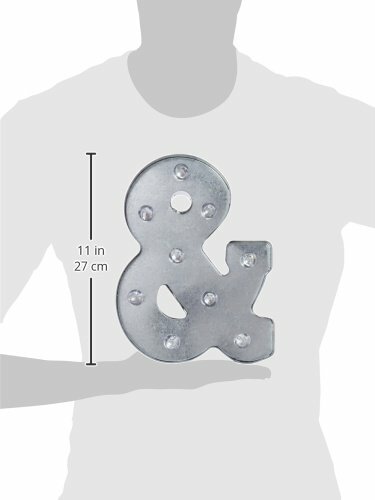 MARQUEE AMPERSAND – This 9.87″ tall metal marquee ampersand (&) is the perfect addition to any event or space. For indoor use only. 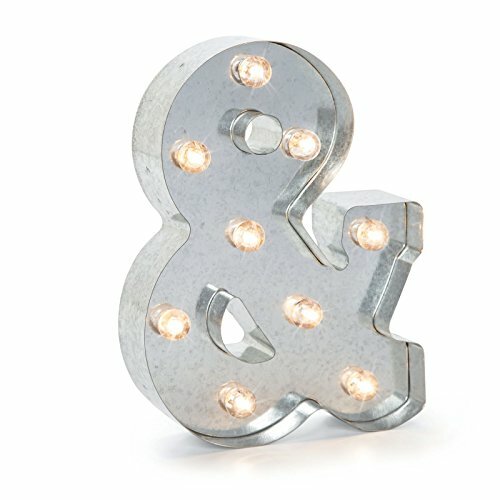 LIGHT UP SYMBOL – This cordless light up ampersand illuminates with light bulbs and looks beautiful. On/off switch on the back. 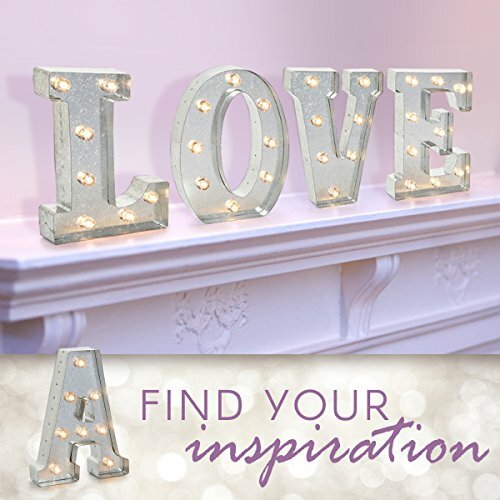 Add this silver metal marquee letter A to any space or event for a beautiful, illuminated décor touch. 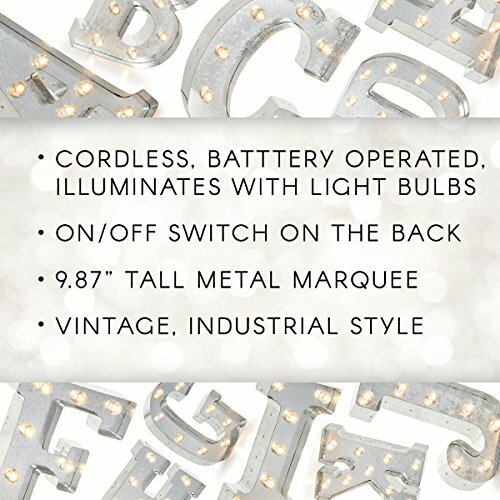 This metal light measures 9.87” tall and has light bulbs that are operated by an on/off switch on the back. This versatile décor piece can be used for craft projects, home décor or even at events! 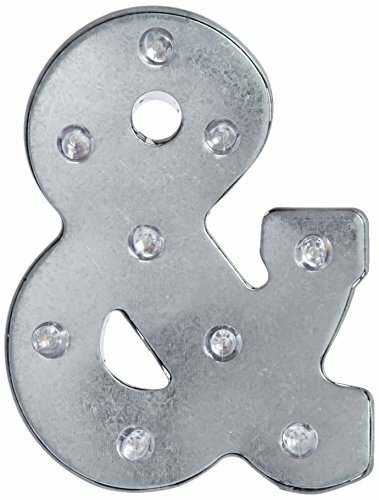 Use this light up letter to spell out a message such as “EAT” in your home kitchen, “LOVE” at a wedding or add initials to a child’s room. The décor opportunities are endless! These marquee letters are inspired by the early 20th century’s spirit of industry and have a beautiful industrial and vintage style. Cleveland vintage lighting captures the craftsmanship, design, aesthetic, and overall goal of using lights to make spaces more efficient and productive. 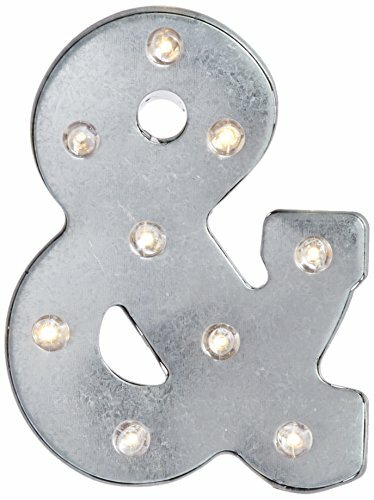 This cordless light up letter is battery operated and includes an on/off switch on the back. Requires 2 AA batteries, not included.